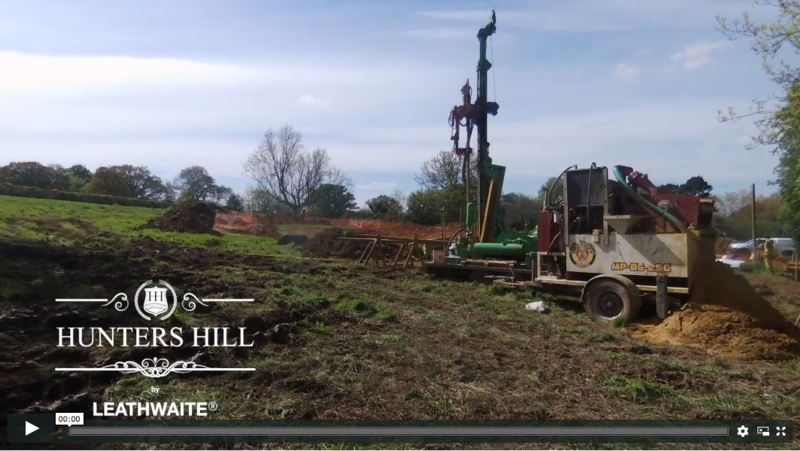 A selection of recent videos from construction projects. 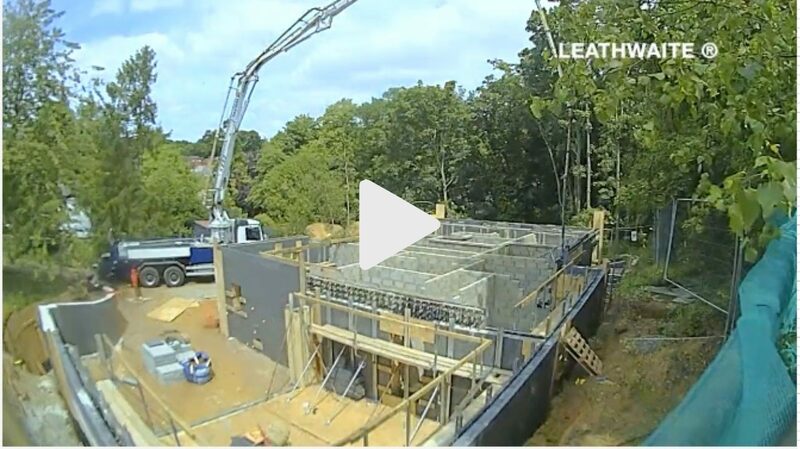 Concrete pour for First Floor #ICF walls of new Luxury Eco Home in the beautiful Surrey Hills. 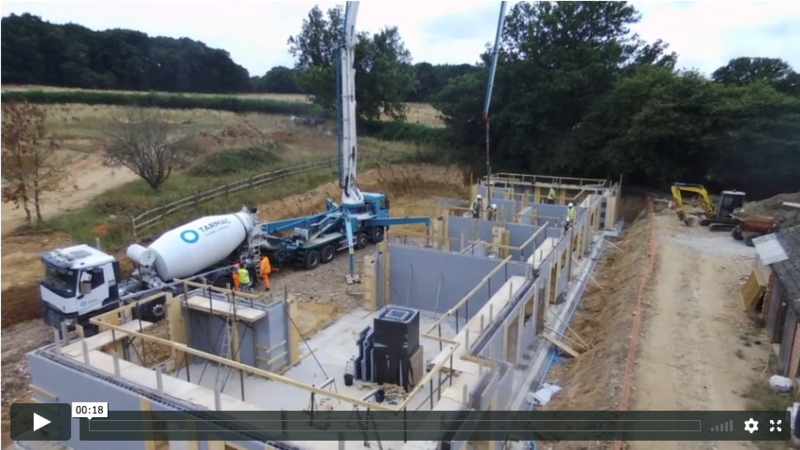 Great weather today for concrete pour of in-situ floor of new Luxury Eco Home. 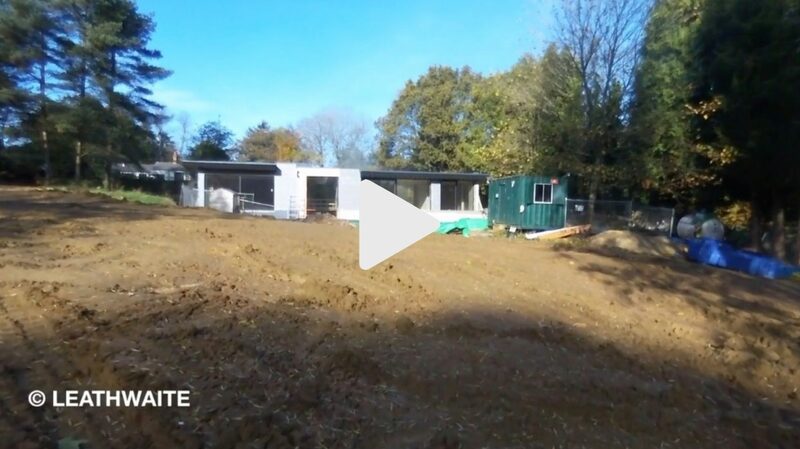 Lower Floor ICF walls of new Luxury Eco-Home completed. 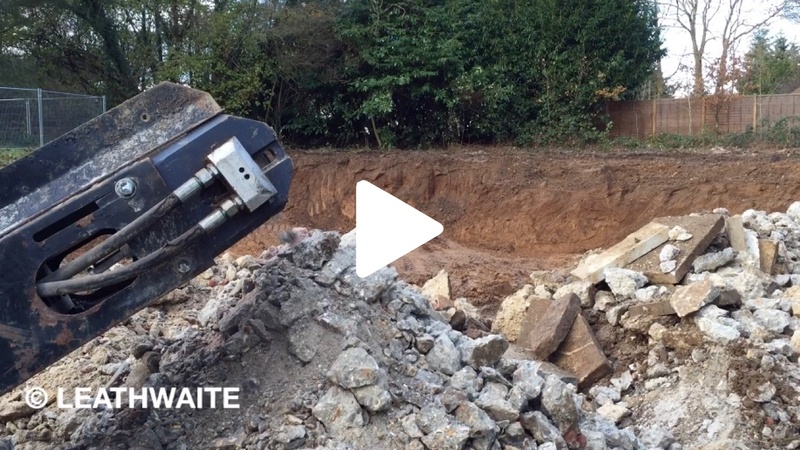 Demolition to Foundations in 60 seconds! 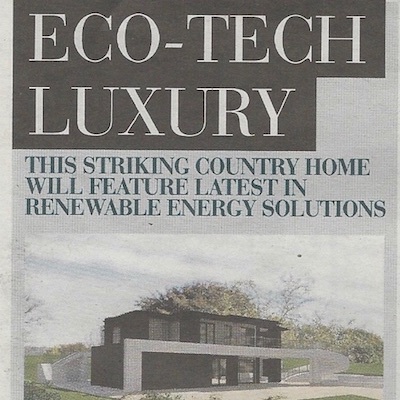 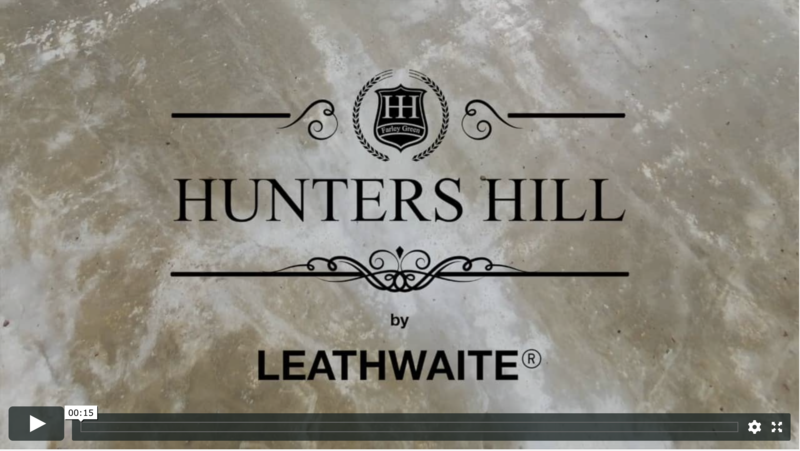 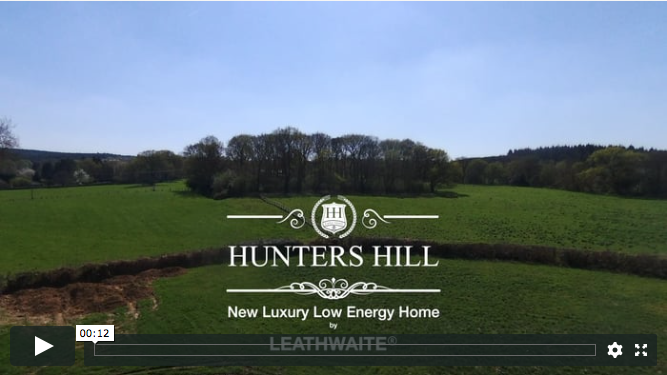 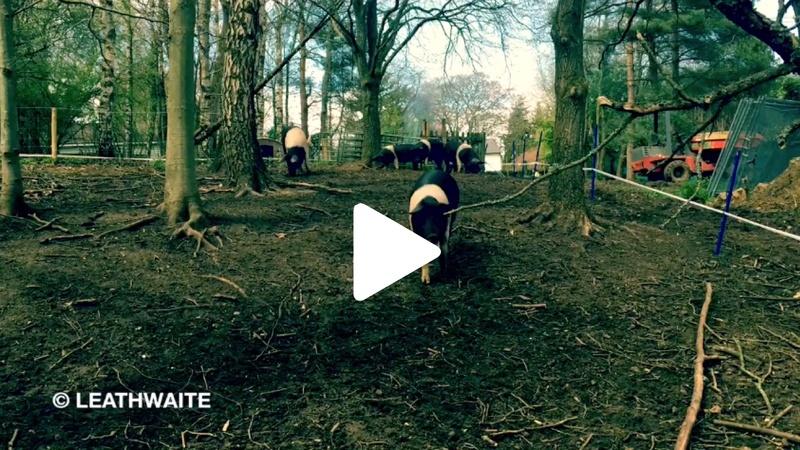 Digital Time-lapse photography of construction for new Luxury Eco Home by LEATHWAITE. 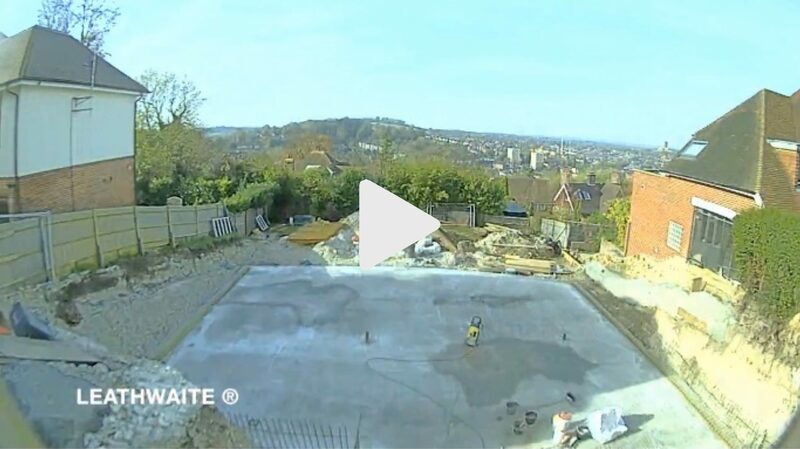 From demolition to foundations in 60 seconds! 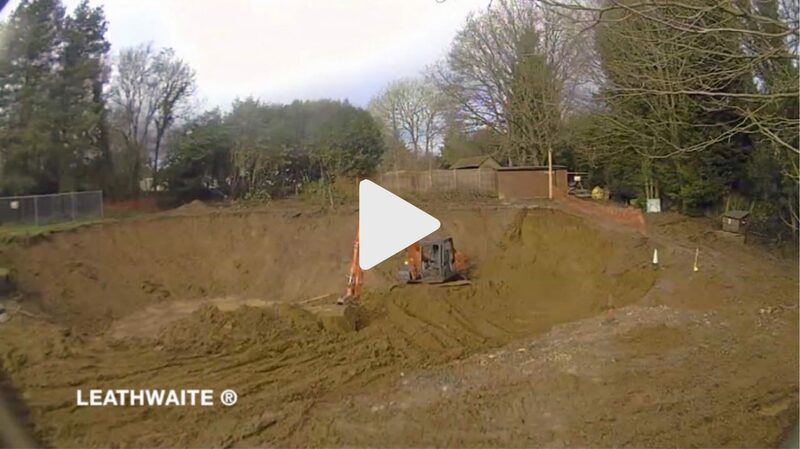 Excavation started for foundations of new Luxury Sustainable Home. 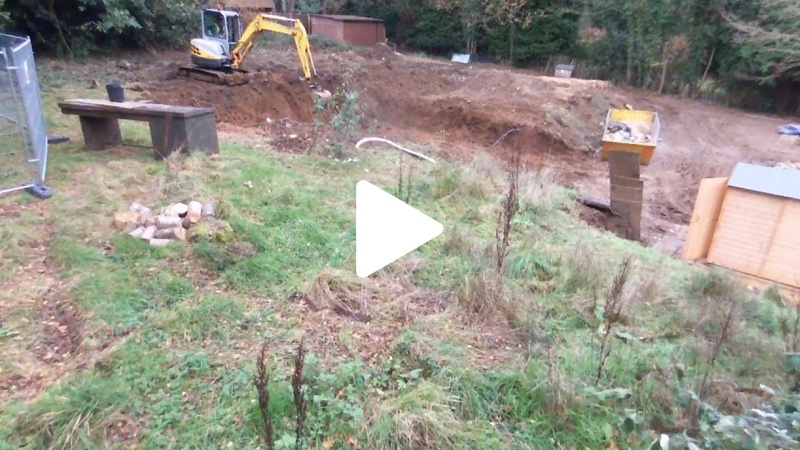 Existing concrete base crushed on site to be re-used during construction of new Sustainable Home. 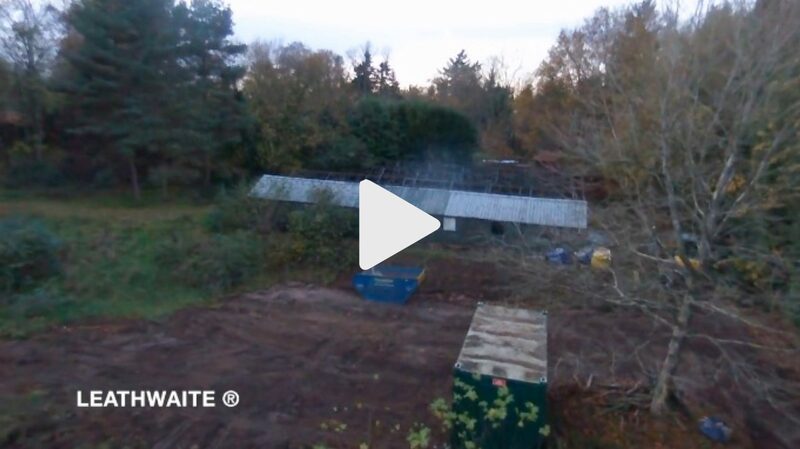 LEATHWAITE’s latest development site is Oakridge Nursery. 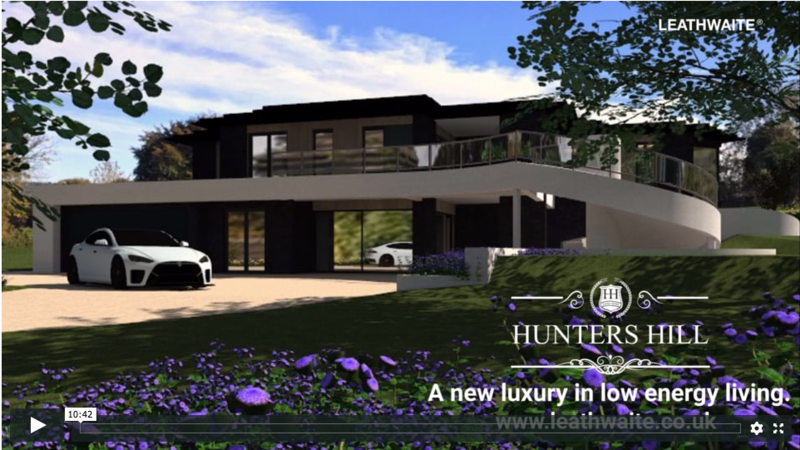 This video shows the site before construction starts on a new 5 bedroom Sustainable Luxury Home. 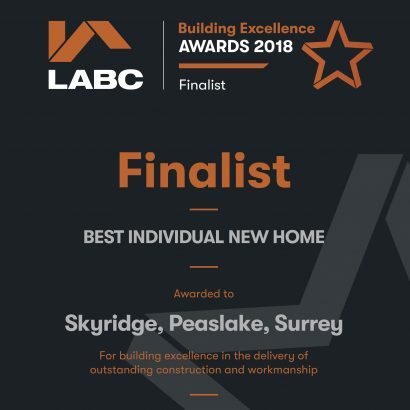 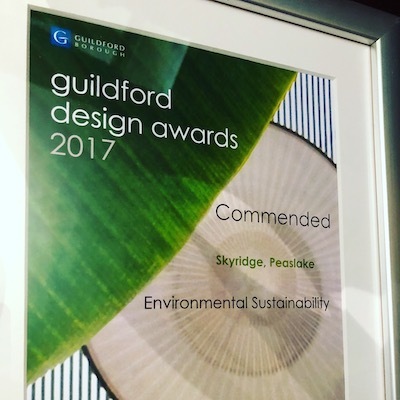 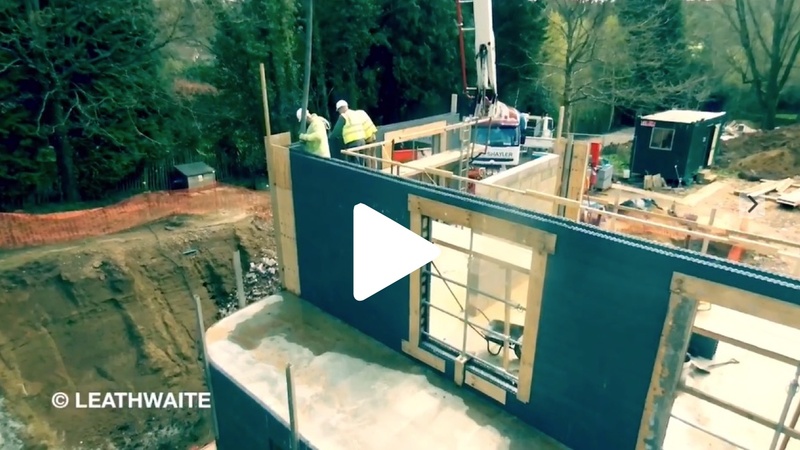 Watch Digital Time Lapse Movie recorded during the ICF construction of the shell for a Sustainable Home which LEATHWAITE completed in Surrey. 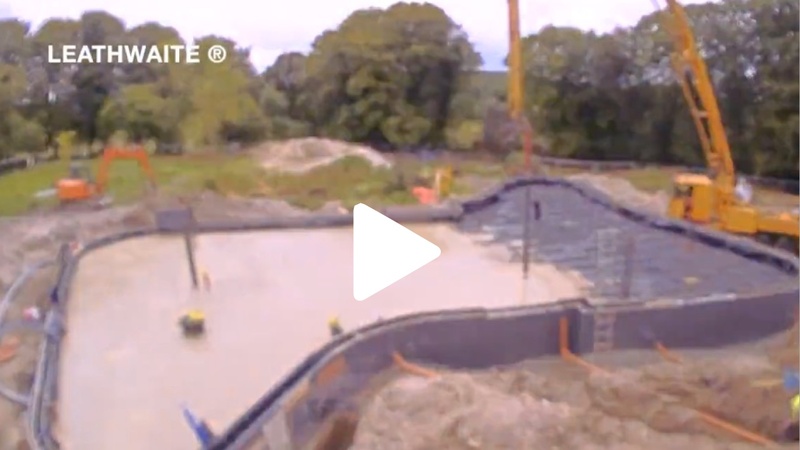 Digital Time Lapse Movie recording the ICF construction of the shell for a unique Sustainable Home which we recently completed.